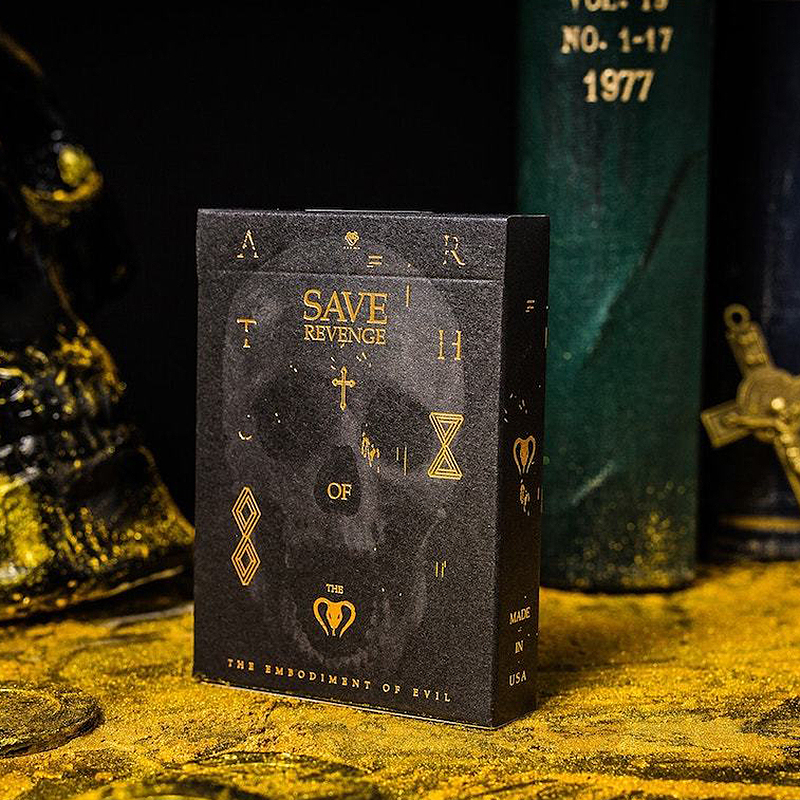 "Speaking of story Save Playing Card is one of the most luxurious edition we ever made. This deck has a special story behind it. That is a story about Save and Revenge, meaning of symbol. We added custom elements into the deck based on the story. The rings on the card back depict the blend of the human nature of good and evil, true and false. Moreover, the crowns represent the King, the incarnation of justice, the frailty and toughness of human nature. There is a big secret in the design of court card faces. The evil witch hided in the Queen cards. It is the Spade of Queen card. The witch takes the snake instead of torch. Save Playing Cards have custom seal. That is the seal of vengeance soul." • The cards are poker size.